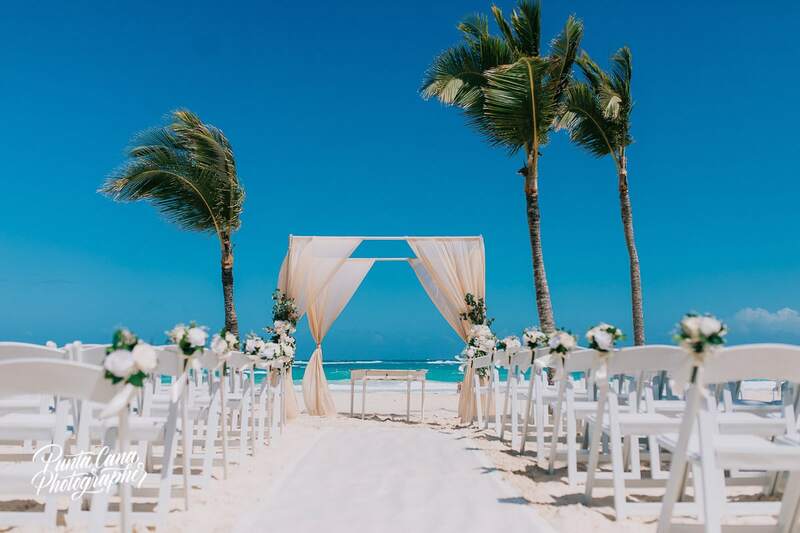 Hard Rock Punta Cana Restaurants: Best places to visit during your Wedding Week! One of my favorite things about traveling to a new place is the food. Wait no, it is my favorite thing! I love going to exotic places and trying local cuisine or any kind of cuisine really. 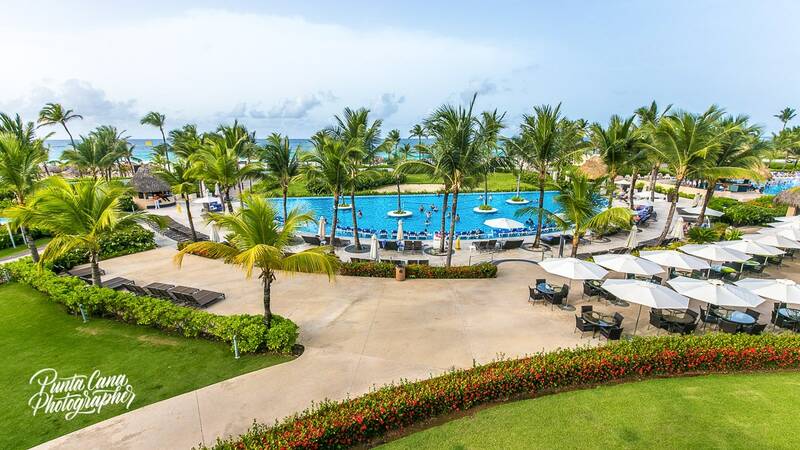 The Hard Rock Resort in Punta Cana provides a unique opportunity to do just that! With a variety of restaurants available, your taste buds will not be bored during your wedding week. We know you will have a lot of options when you get here, so we wanted to give you a list of our favorite places at the resort. Also, it is great to know in advance what places to visit so you can help out all of your guests during their stay in DR! Although there are about 9 restaurants at Hard Rock, here we are recommending the ones we enjoyed the most, just keep reading! One of my favorite restaurants at the resort is the Isla. Serving Caribbean cuisine, it really gives you a taste of the Dominican Republic. They serve a variety of meat dishes that are prepared using authentic Caribbean spices. Local food in the DR is not so easy to find in resorts believe it or not, so this is a great opportunity to try a few different dishes! Maybe it even inspires your wedding menu, who knows? One of the great things about the Isla (other than the food) is their weekly events. Tuesday night is Pirate Party night and their Friday night Dominican Night. What better way to welcome your family and friends to your destination wedding than having a fun night at this restaurant? They usually play live music which is perfect for dancing! Now you can leave Punta Cana having learned how to dance bachata! They have a specific set of hours that are only available to the exclusively Legendary members. This might be a little frustrating for you if you are not a member but on the other hand, if you are a member that means you will have the place just for you! My second favorite restaurant at the resort is Ciao Ristorante. They offer a variety of forms of Italian food including dolce, regional Italian, and antipasti! This is an amazing culinary experience that is difficult to find in most resorts in the area. And I mean, who doesn’t love Italian food? I don’t think there is anything more romantic than a nice Italian dinner with a glass of good wine. Already dreaming about it? They offer breakfast and lunch buffet which is wonderful for families with children (let your guests with kids know this!) because they won’t have to wait as long to feed them as in the other buffet area. The buffet style is only available during breakfast and lunch while dinner is served a la carte. If you are a breakfast person, like me, then you should definitely go to Ciao. They have such a variety of fruits, natural juices, cheeses, eggs and pastries that you will need all 7 days of your wedding week to try them all! I can’t think of anything bad about this amazing restaurant. It has a comfortable dress code and a menu with Italian variety. What more could you want? Cafetto is another favorite of mine. Whether you want breakfast or a soothing cocktail, you can find it here! It’s never too early to start drinking on vacation or snacking, so whichever you choose to do first, consider making this your first stop of the day. Sometimes when you arrive at the resort you realize there are a lot of last minute details to work for the wedding and stopping for a quick bite to eat is always necessary. This place is the perfect spot for that! I can’t think of anything bad about this great place. They are open 24 hours! Los Gallos is a great restaurant if you are looking for authentic Latin American food. They serve fajitas, tacos, and flautas. Yum! They are known for their garden view and Mexican food. I have always had a soft spot for true Mexican food, which is why Los Gallos is one of my favorite restaurants on the resort. Now that I think about it, I kind of love all the restaurants at Hard Rock! I guess they all have great food! They have great Mexican food, a gorgeous garden view, and some of the most beautiful decorations that you will find on the resort. They are also open for breakfast! Maybe this could be a great place to have breakfast with your bridesmaids before the wedding! Having a special moment with them is always a great way to start the day, even better if it involves good food..and margaritas! The only negative thing I can think of about the restaurant is that they are closed for lunch… which isn’t the end of the world, but you will have to wait until dinner to get those tacos and fajitas you’ve been dreaming of the entire day! Do you like pizza? Pizza is basically a food group for me. One of the best places to get pizza in the area is the Pizzeto as its name suggests. You can find some of the best brick-oven style pizza here, just getting hungry of thinking about it! Not only do they serve traditional Italian pizza they also serve Mediterranean dishes! They have excellent food and serve culturally diverse cuisine, which is always exciting to see in one place! The only negative thing I can think of is that there are two different dress codes depending on the time of day you arrive (casual or dinner dress). This may not be a bad thing actually if you feel like dressing up a little. Just make sure your groom to be remembers to wear long pants! So based on our experience and having had the chance to work at many many resorts, we feel that food plays a big part during your vacation and even more so at your wedding. Imagine how terrible it would be to stay somewhere where the food is not good? My personal nightmare! Hard Rock has a number of good food options for you to enjoy and for keeping your guests incredibly happy, there is not much more you can ask for, right? 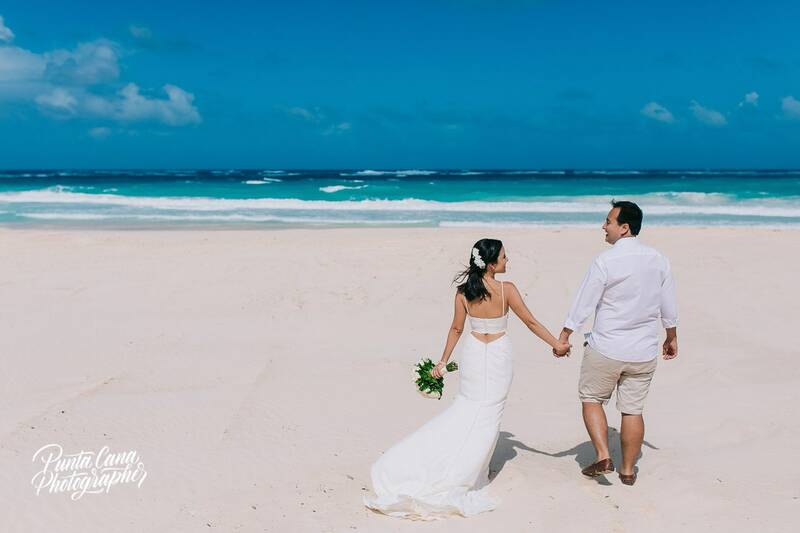 But because food is not the only thing that matter we want to share with you an entire guide for getting married at Hard Rock Punta Cana! You will find useful information about the resort’s amenities and the different options for your perfect destination wedding, just have a look!